Several high-profile Iraqi women, who activists say dared to challenge the strict rules on modesty of Sharia law, have been murdered in recent weeks. 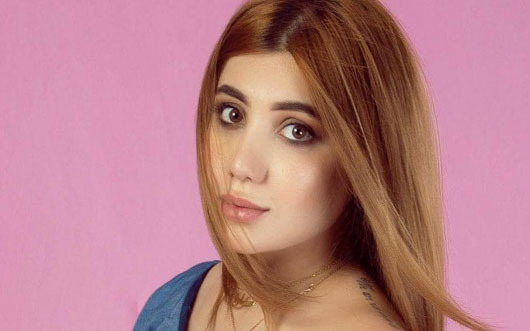 Tara Fares, a 22-year-old Iraqi model and fashion blogger, was shot dead in a Baghdad street on Sept. 27. On Sept. 25, human rights activist Suaad al-Ali was shot and killed in an outdoor market by an unknown gunman. Last month, Rafeef al-Yaseri, known as the “Barbie of Iraq,” and Rasha al-Hassan, owner of a beauty center, were also murdered. Fares “was one of Iraq’s best known social media figures and more than 2.7 million people followed the Instagram account where she posted photos of herself in daring outfits,” The Telegraph reported. “The former Miss Baghdad, and first runner-up for Miss Iraq, was killed on Thursday after gunmen opened fire on her in the capital’s Camp Sarah neighborhood, according to a statement by Iraq’s Interior Ministry, which is investigating the incident,” according to a CNN report. Fares was shot three times at the wheel of her Porsche convertible while driving in central Baghdad. According to the Telegraph, fans of Fares on social media said they believed she was targeted by religious fanatics who wanted to stop Iraqi women from freely expressing themselves. “Anyone who finds excuses for those who kill a girl just because she had decided to live like most other girls on the planet is an accomplice to her murder,” said Ahmad al-Basheer, an Iraqi satirist. Fares was killed two days after Suad al-Ali, a women’s rights activist, was shot dead in the southern city of Basra. “The city has been rocked by protests over corruption and unsafe water in recent weeks and Ali was involved in organizing the demonstrations. She was killed as she walked towards her car,” the Telegraph’s report said. In August, two Iraqi beauty experts also died in mysterious circumstances, leading some Iraqis to believe they were being targeted. Rafeef al-Yaseri, the owner of the well-known Barbie beauty center, was found dead in her Baghdad home on Aug. 16. A week later, Rasha al-Hassan, another salon owner, was also found dead.